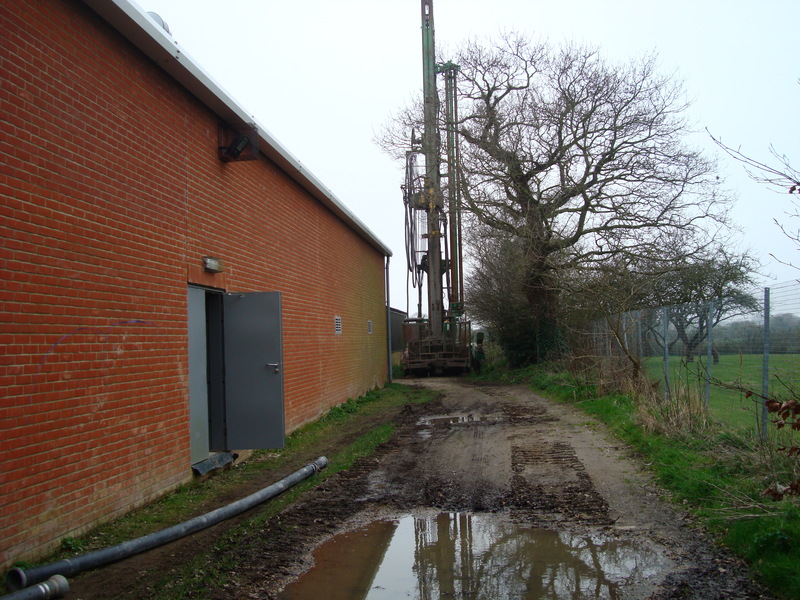 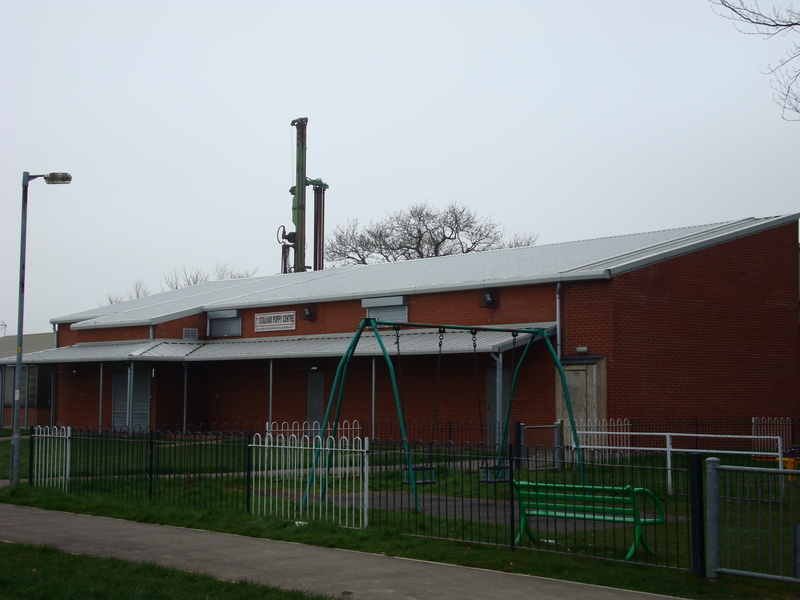 As we now have more than half of the funds to complete the installation of the ground source heating system (gshp) the Trust decided to go ahead and instruct our contractor to proceed with the installation of the bore hole part of the work. 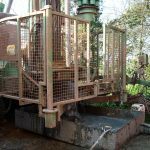 The drill rig and associated equipment arrived on Monday 27 March. 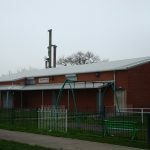 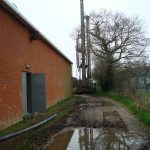 There will be 6 holes, each to a depth of 115 metres providing the 700 metres of closed loop pipework required for the ground source heat pump which will provide heating and hot water to the new building. 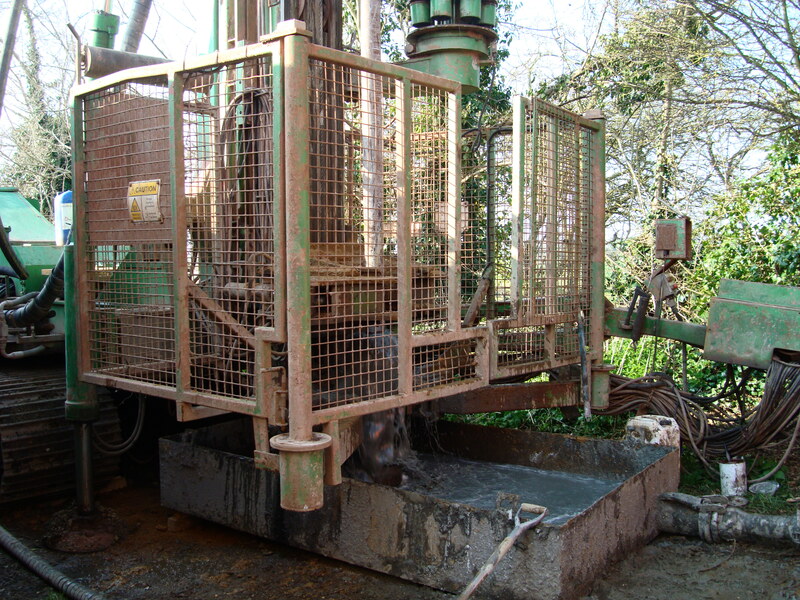 The drill rig arriving, being set up and work commencing.